We teach visual strategies that make learning easier. Teachers quickly put our methods into practice. Students write, read, and think better. Engage us at your school. The book explains it all. 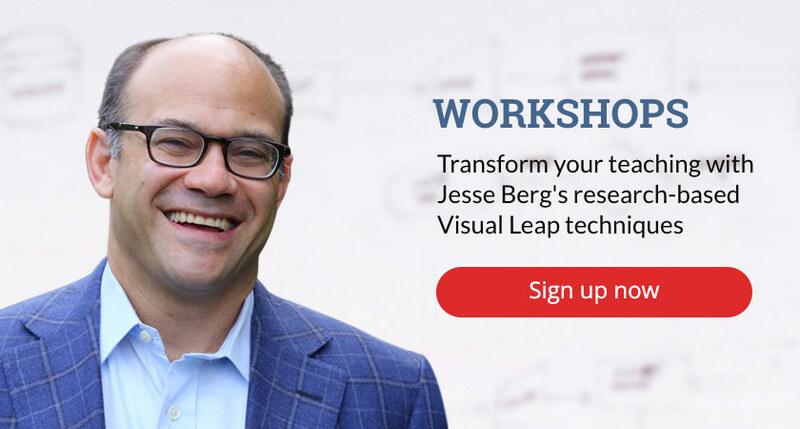 Discover a better way to write, think, remember, and organize ideas using your natural visual-spatial intelligence. Visual Leap® Writing Programs give students new ways to interact with text. Our Writing Programs improve Text Dependent Analysis and constructed response writing! Early data show over 20% improvement in 7th and 8th grade writing scores with Visual Leap® Writing Programs. Our faculty workshops are practical and hands-on. We focus on teachers' everyday needs. We simplify differentiating instruction so students achieve. We work with teachers in class to bring real change. you for teaching me how to learn." 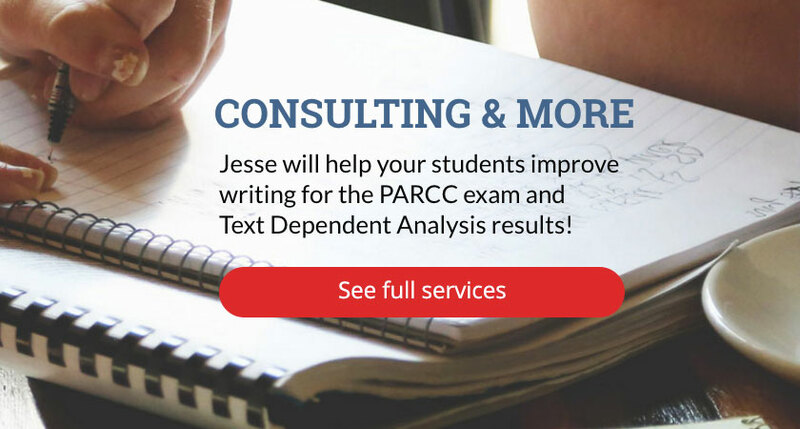 See how Visual Leap strategies raised 7th and 8th grade PARCC Text Dependent Analysis writing scores. 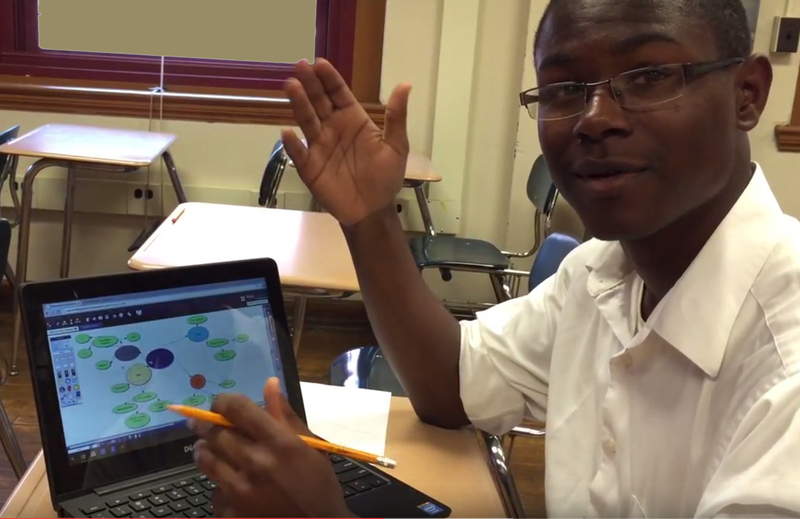 We work with teachers and students to make learning easier! 75% of people learn visually, but NEVER LEARNED how to use this intellectual asset to accomplish work or to learn. Therefore, many of us DO NOT work or learn as productively as possible. 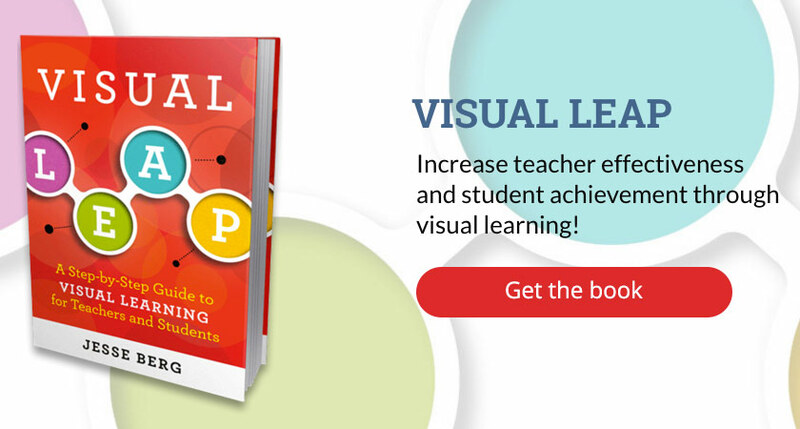 The Visual Leap will train, model and support your faculty in teaching with strategies that match how your students naturally think. We will work closely with you to design and implement a research-based solution that meets your learning goals. Results will be profound. I founded Visual Leap in 2007 and finished my book in 2015. The central ideas, however, first came to me in 2001, when I saw an idea diagrammed – not written out. In that brief demonstration, a key was inserted into my ear that unlocked my mind to me. Learning would never be the same for me or for any student I ever taught. Understanding and teaching visual learning has been my mission ever since. Learn in ways that you naturally think! When students learn to construct ideas visually, their ideas become blueprints for any outcome they desire, or any assignment a teacher requires. Our revolutionary note-taking methods improve reading comprehension and listening skills. Our methods help students to analyze text, cite examples, and develop cohesive written responses. By learning how to learn, students gain confidence, perseverance and intellectual independence. Visual learning allows learners to engage with material more fully, in ways that are authentic and genuine. The techniques learned in the Visual Leap workshops help students of all ages process and express the information they receive in a natural way. 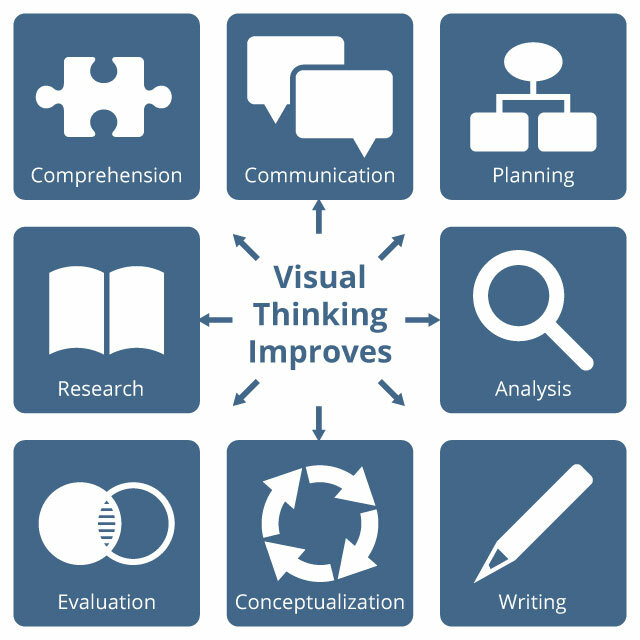 In other words, visual learning teaches how to get an idea out of your head and into a workable format. Buy the Visual Leap Book now! Explore our Professional Development services!